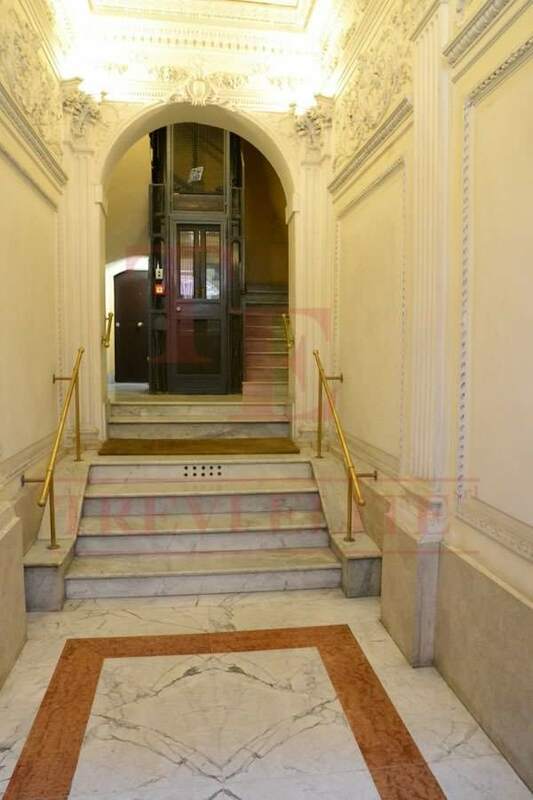 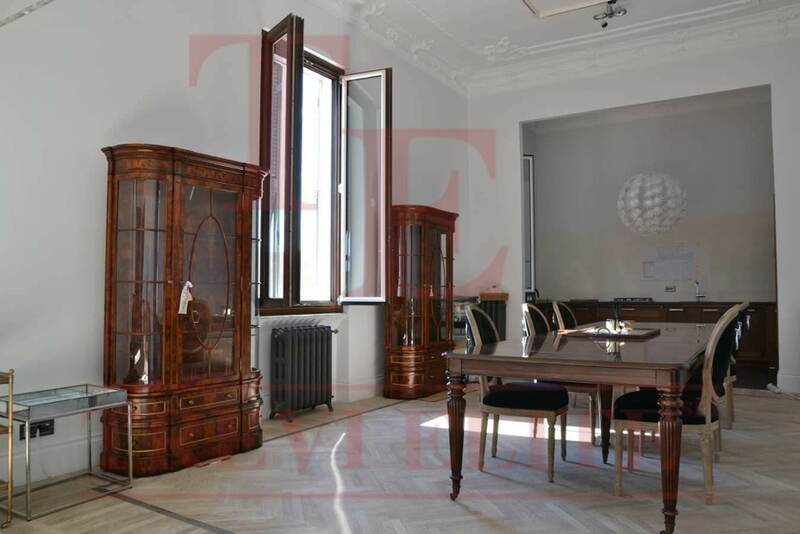 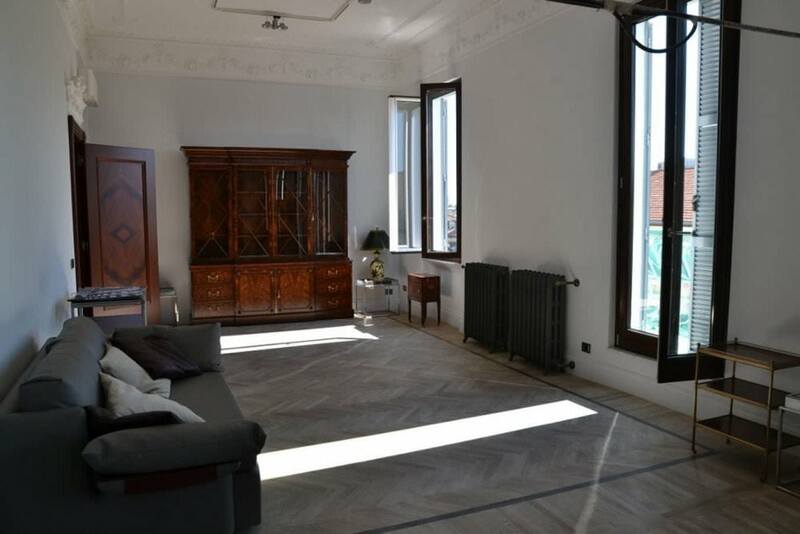 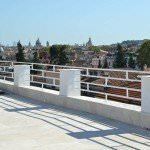 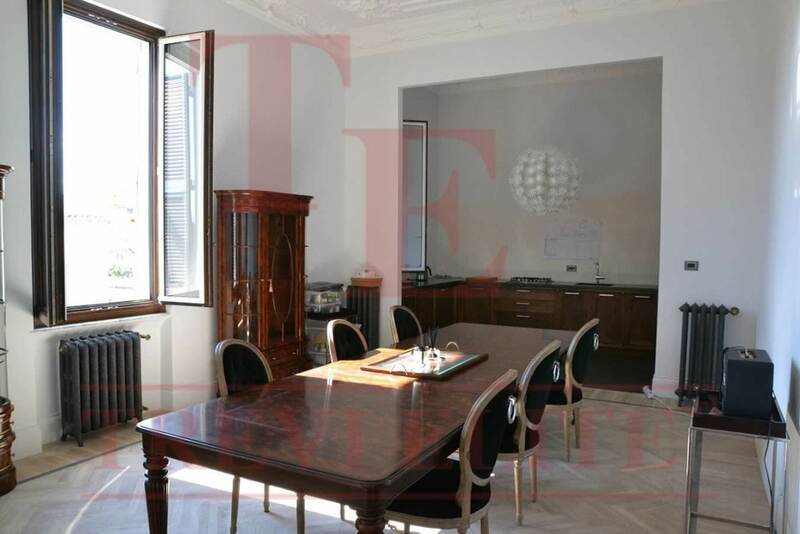 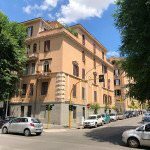 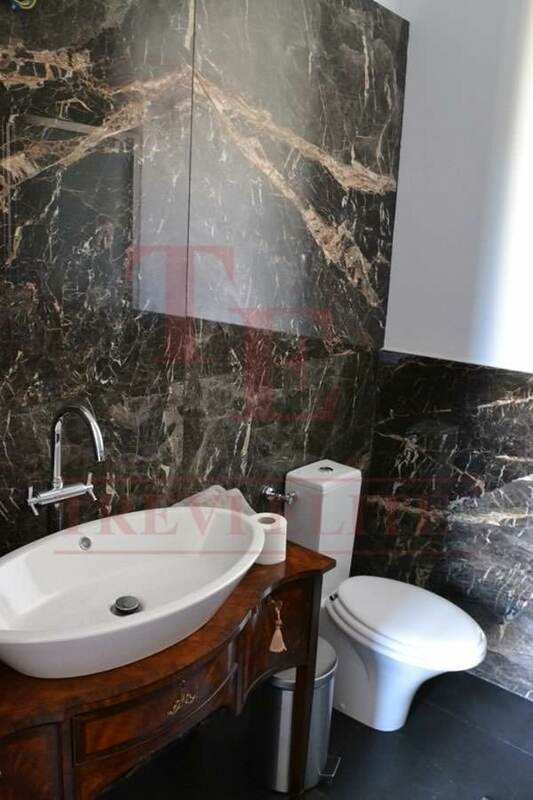 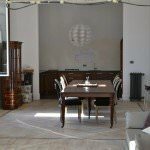 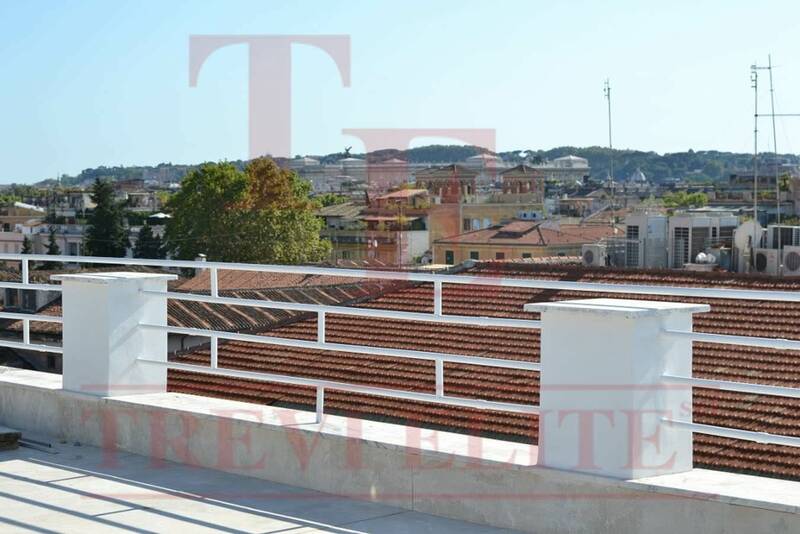 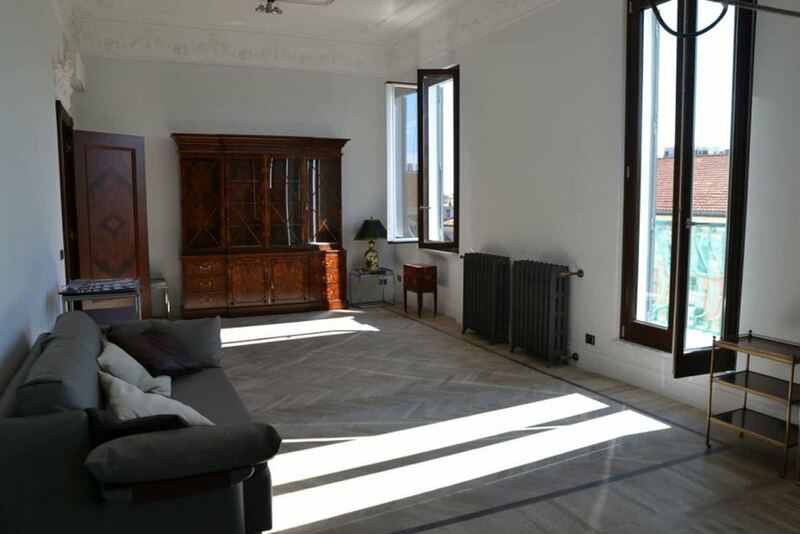 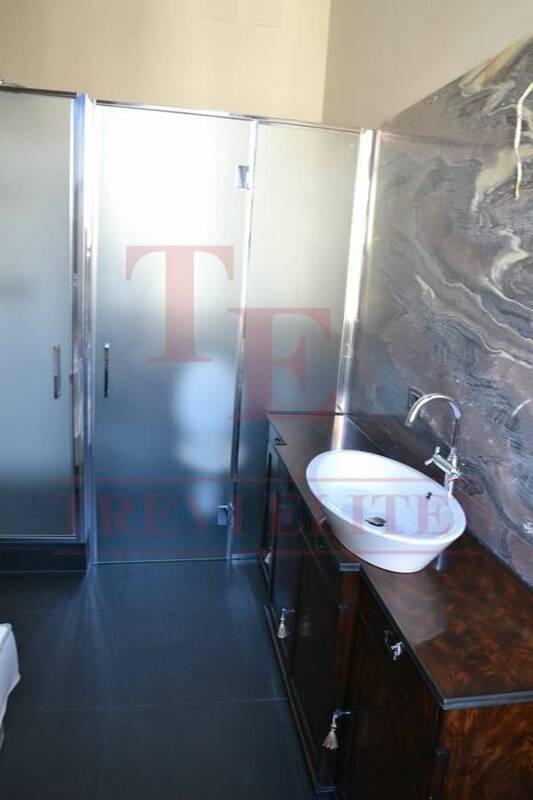 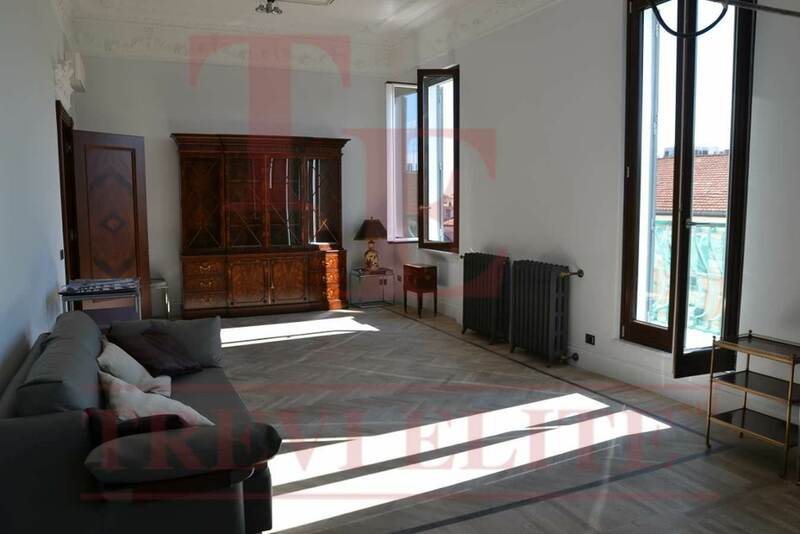 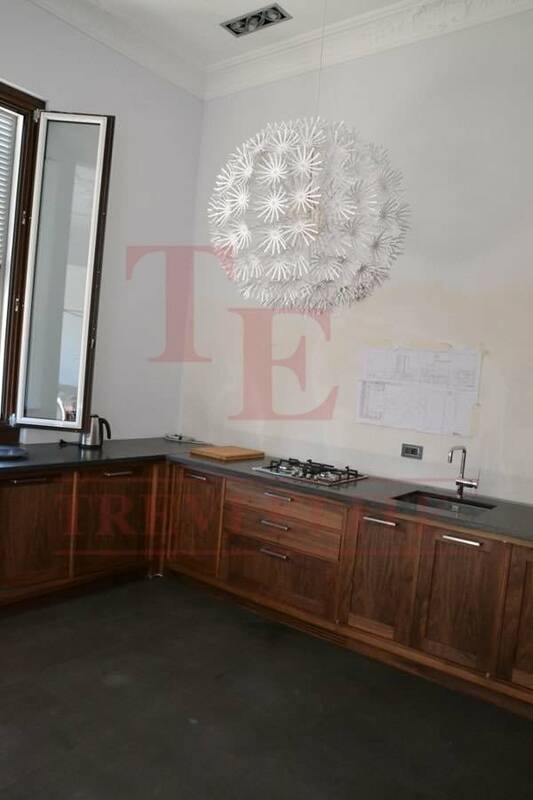 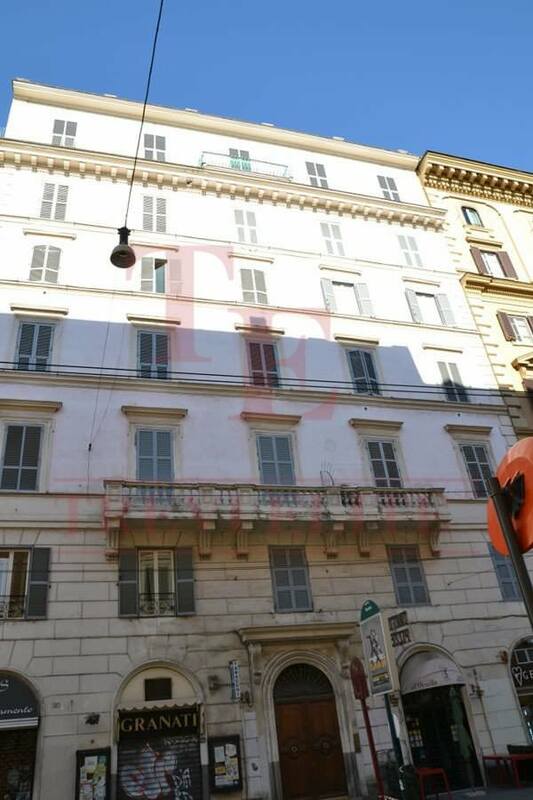 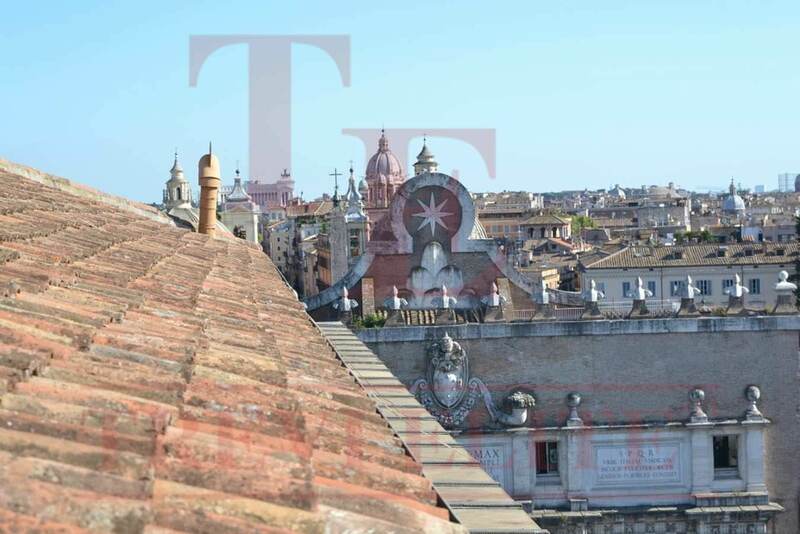 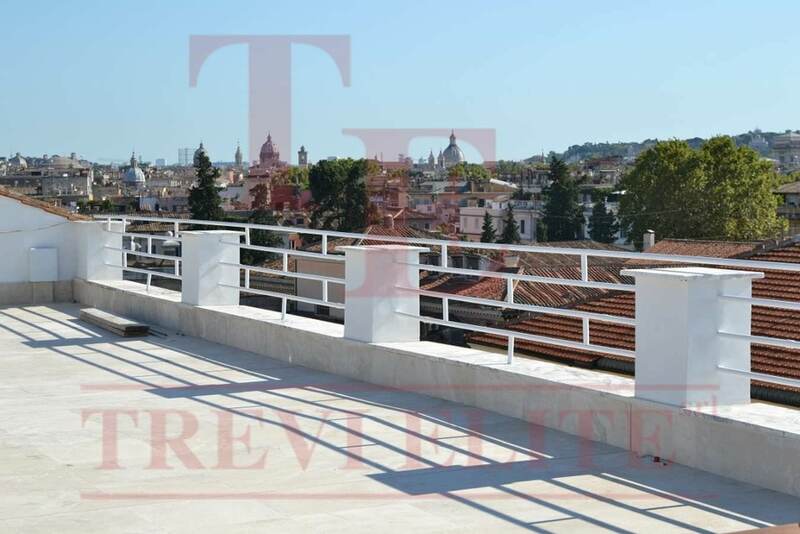 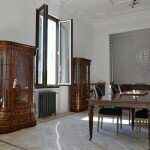 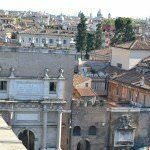 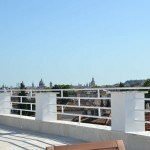 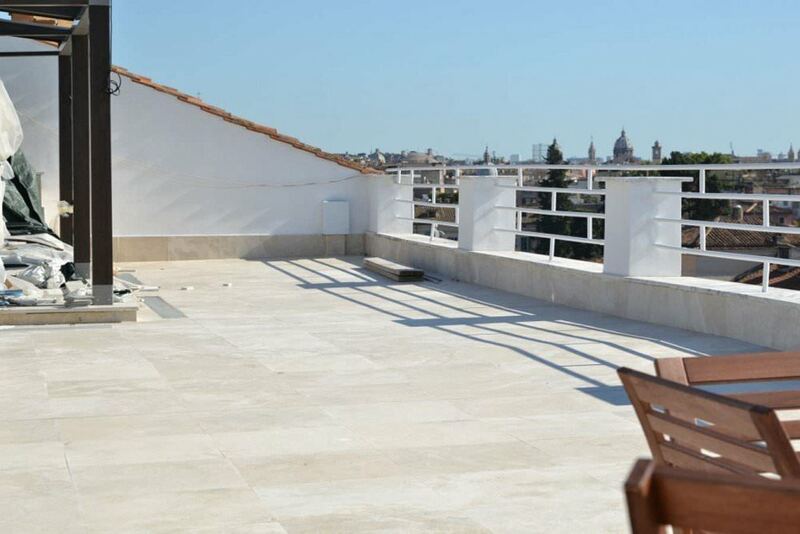 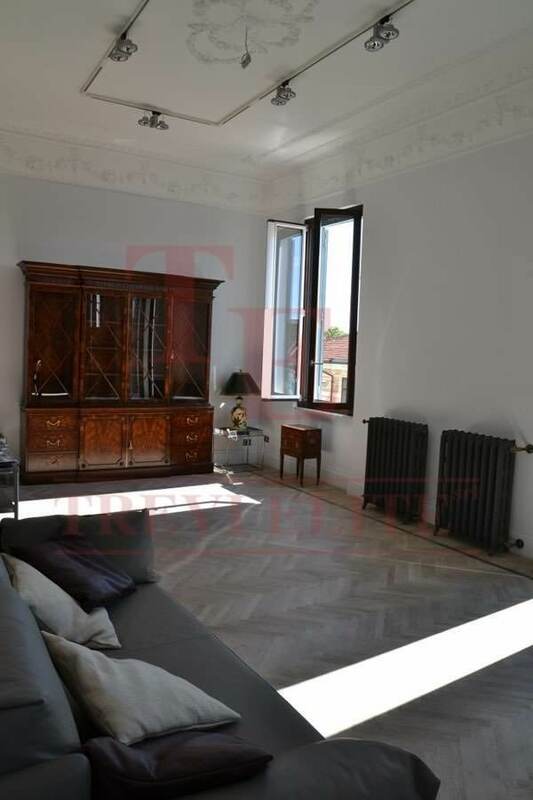 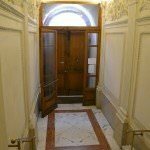 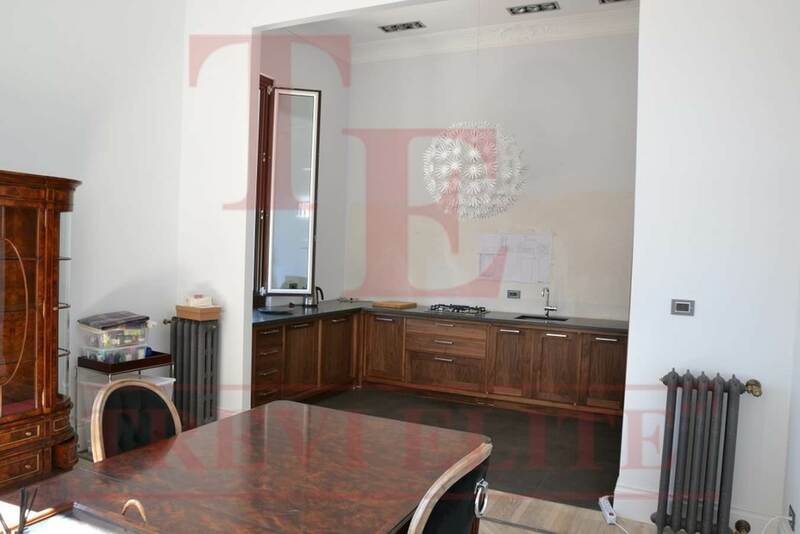 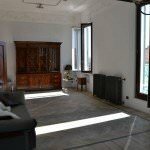 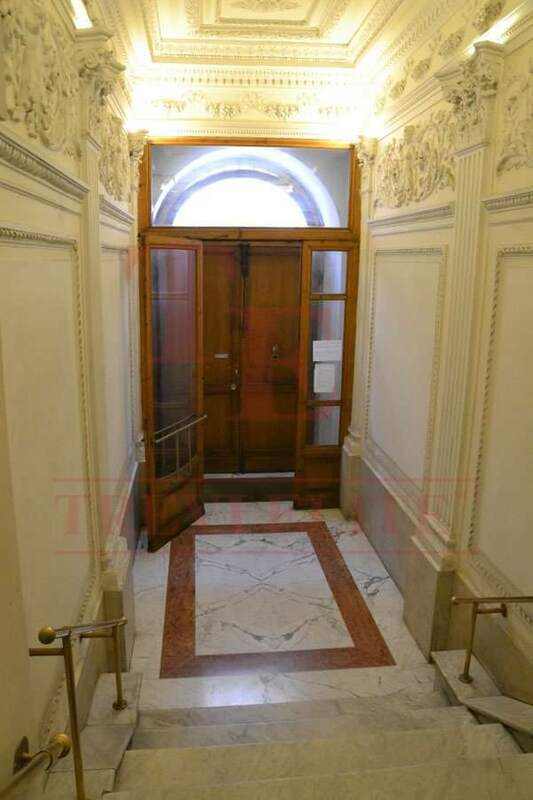 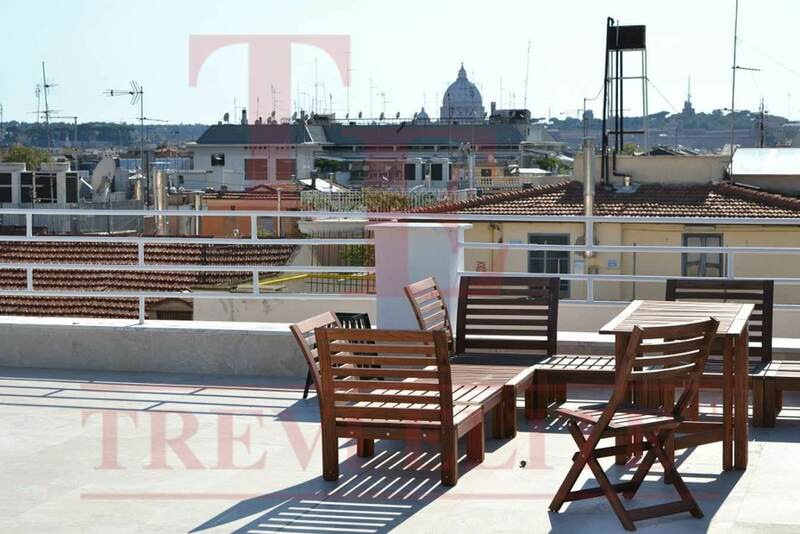 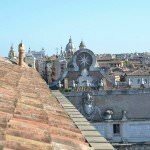 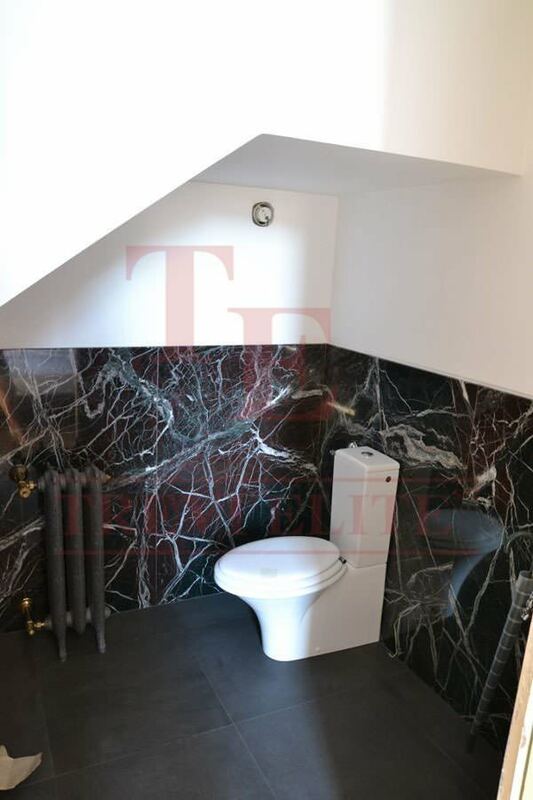 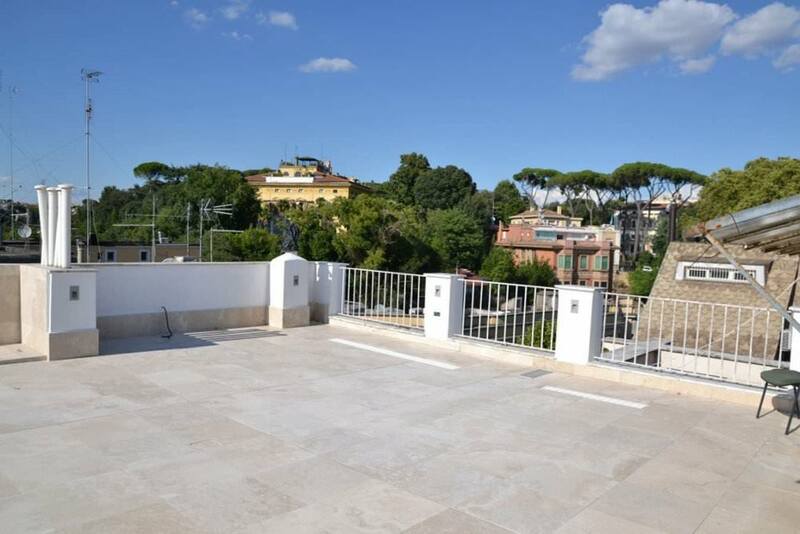 A luxurious penthouse in the center of Rome, close to piazza del Popolo and villa Borghese, in a beautiful historic building of the beginning of the 20 century is for sale. 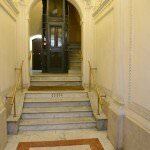 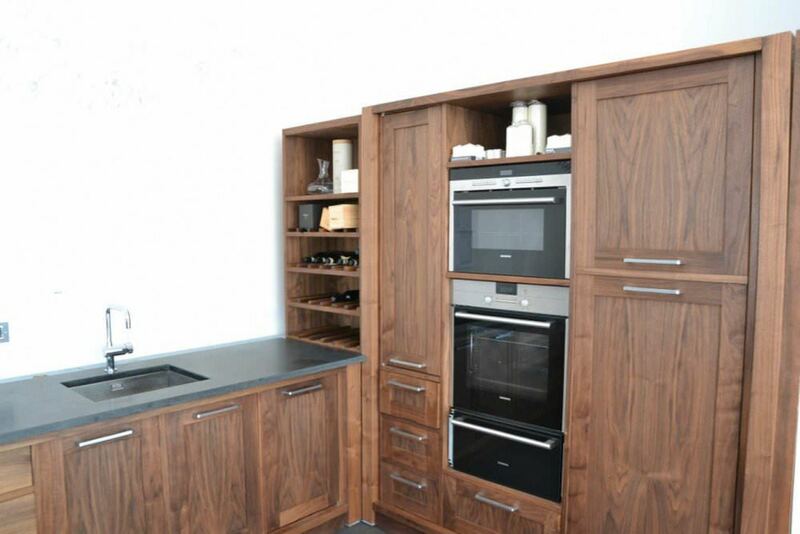 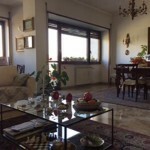 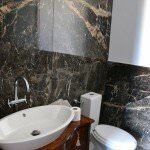 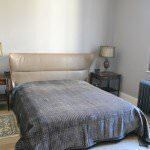 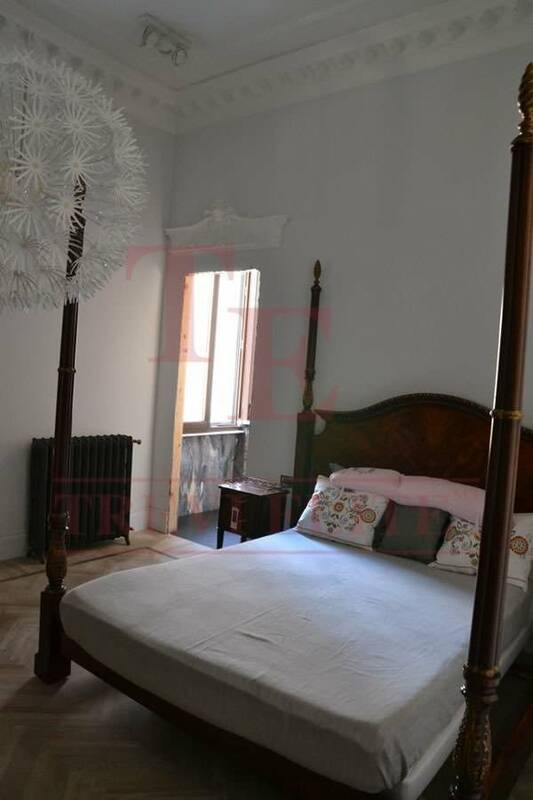 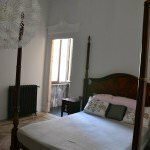 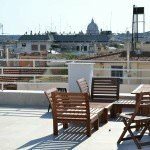 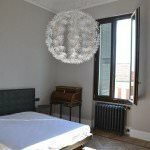 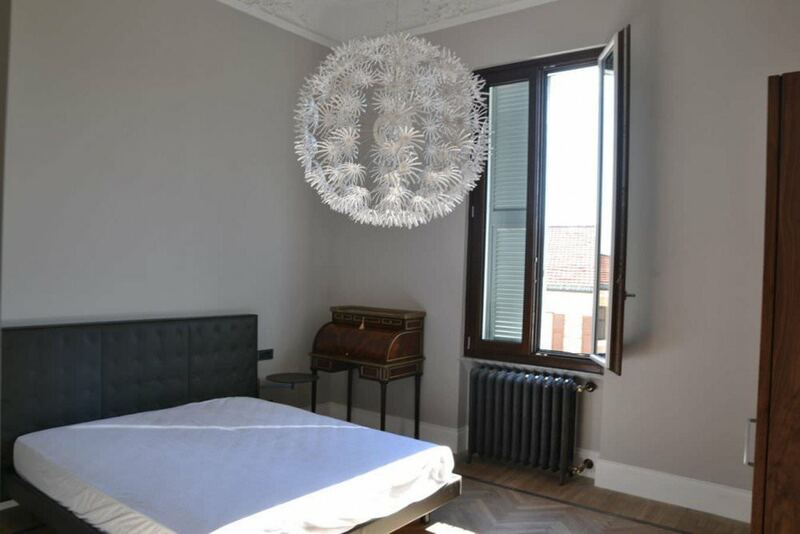 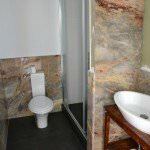 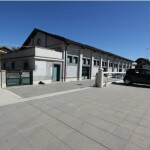 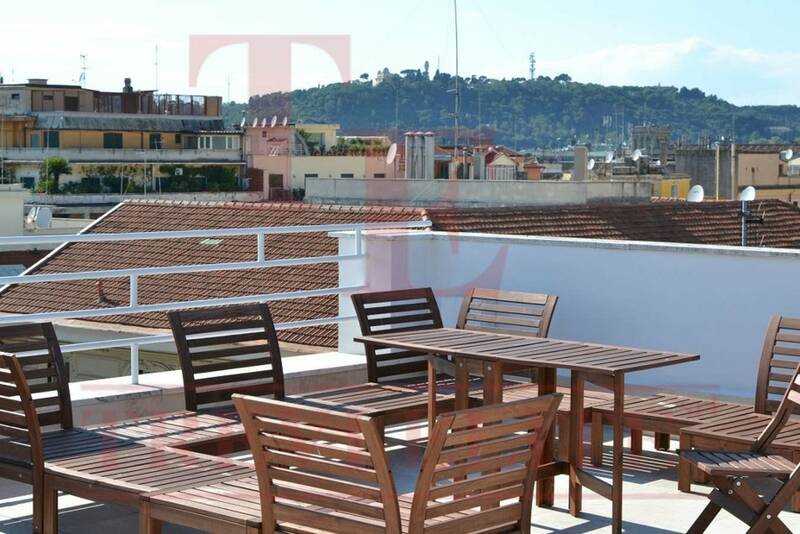 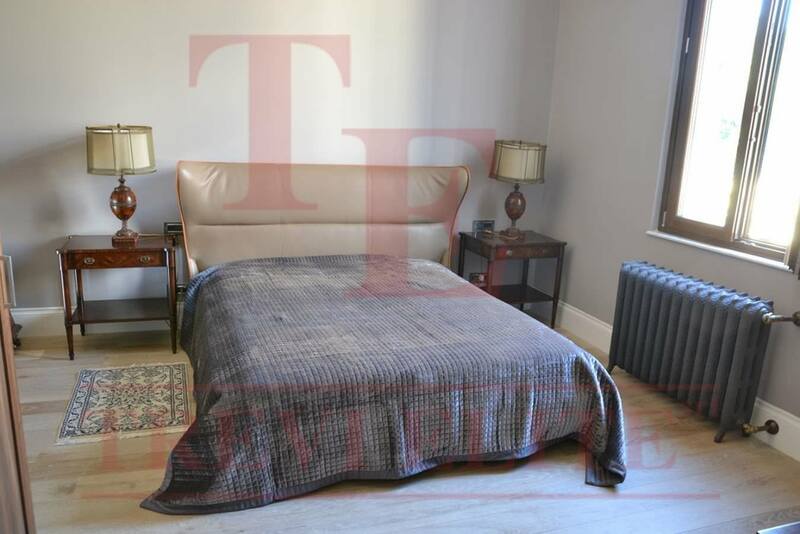 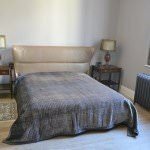 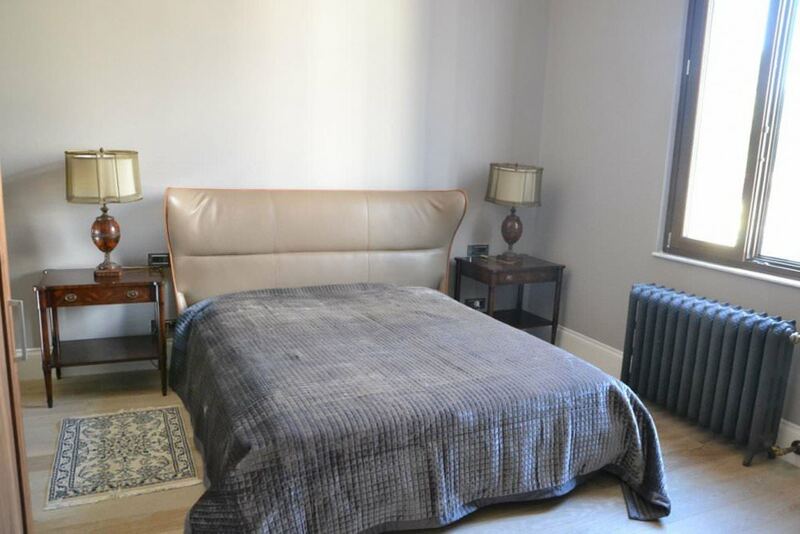 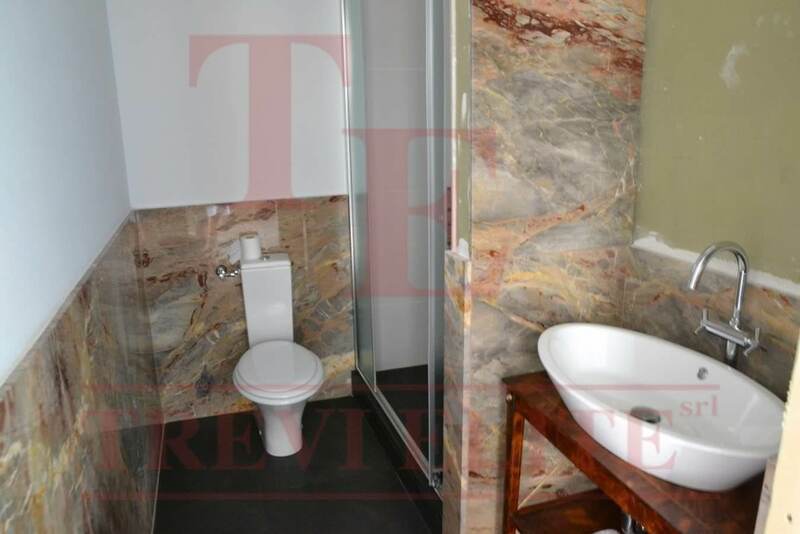 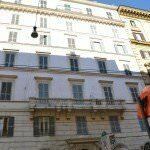 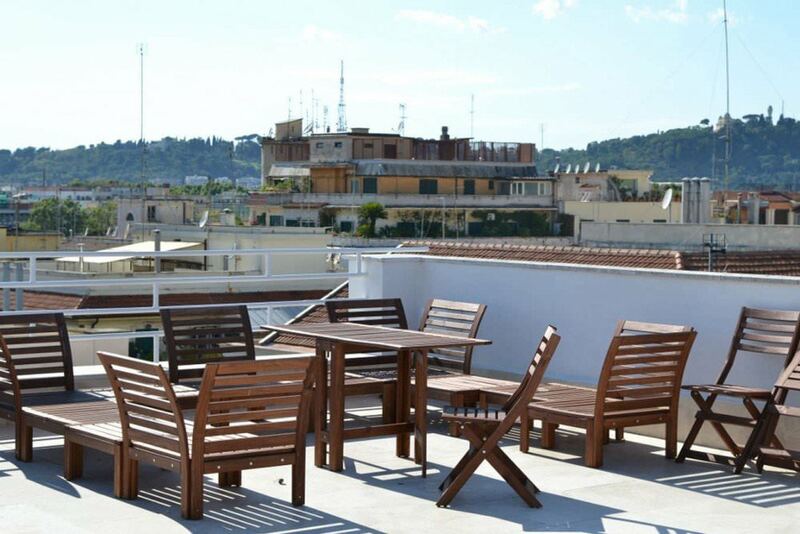 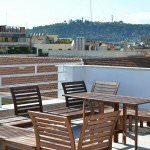 It is situated in 5 minutes-walk away from the park and piazza di Spagna. 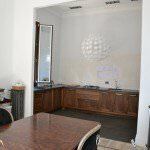 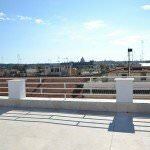 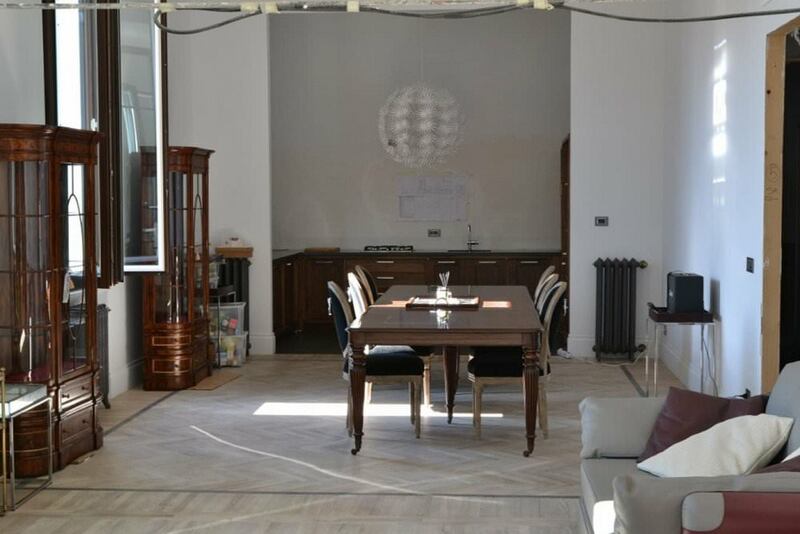 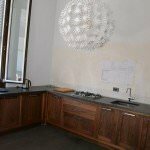 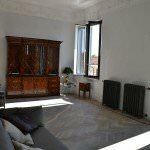 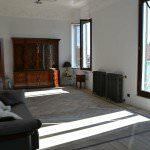 The apartment has the area of 250 m2 and a terrace of 200 m2 on the upper level, 4 meters high ceiling. 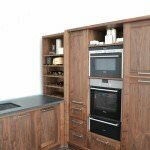 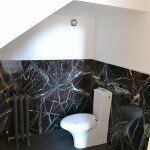 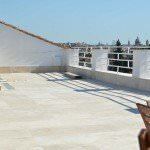 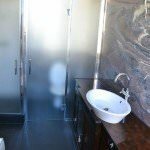 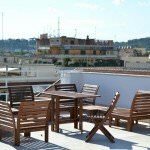 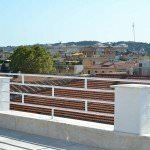 The apartment was completely renovated in 2016 with the materials of the highest quality and all the utility lines substitution. 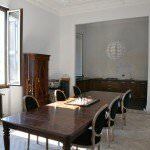 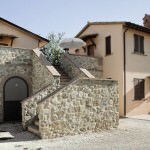 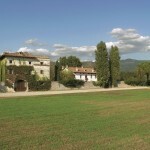 It consists of a hall with the access to the terrace of 50 m2 with marble and travertine floor on the lower lever, a triple parlor with fitted and completely equipped kitchen, three light bedrooms, each with its own bathroom, guest bathroom, a wide corridor with a staircase leading to the terrace of 200 m2 on the upper level where a summer kitchen, rest area, shower are organized. 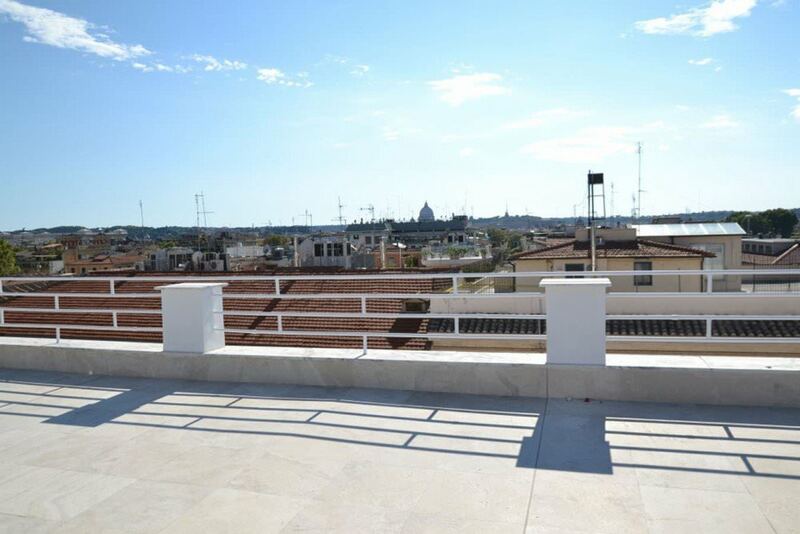 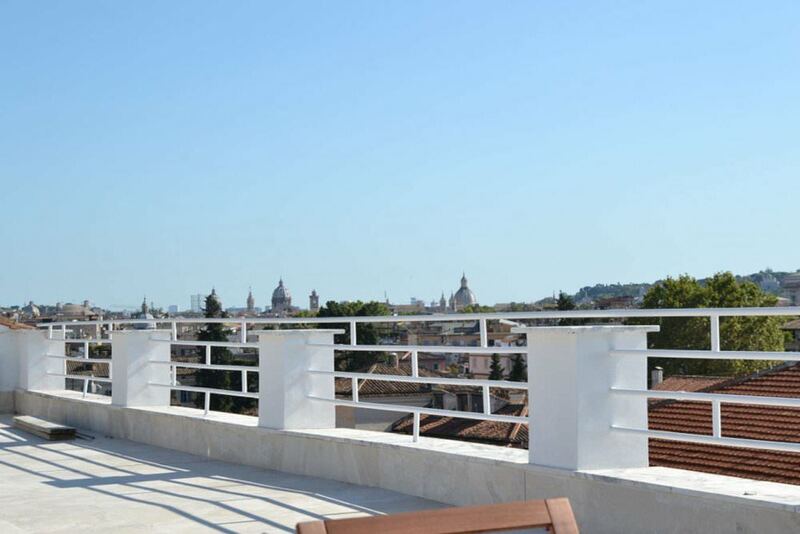 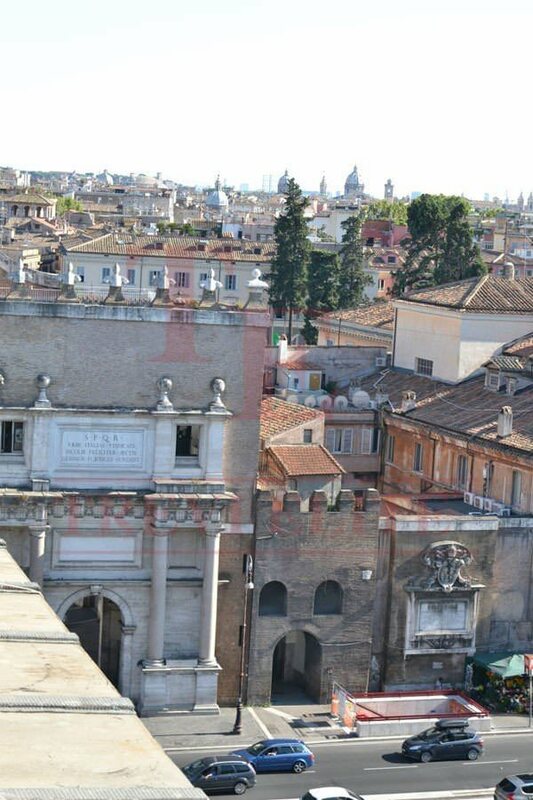 A marvelous panoramic view over the center of Rome, the Saint Peter’s Dome and villa Borghese opens from the terrace. 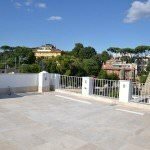 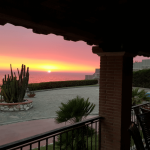 Within the walking distance, there are the private parking lots, supermarkets, schools, fitness studios.